Hollow glass are present inside the desiccant can adsorb water molecules, the gas is dry, the temperature is lowered, the interior of the hollow glass does not produce the phenomenon of condensation, and the dew point are also elevated in the outer surface of the hollow glass. Outdoor wind speed of 5m / s, and the indoor temperature is 20 ° C, relative humidity of 60%, 5mm glass begin condensation when the outdoor temperature is 8 ° C, while the 16mm (5 +6 +5) hollow glass under the same conditions, the outdoor temperature to -2 ℃ when condensation on 27mm (5 +6 +5 +6 +5) three hollow glass outdoor temperature -11 ℃ before condensation. Better insulation performance of insulating glass, glass on both sides of the temperature difference can also reduce cold radiation; When the outdoor temperature of -10 ° C, the indoor temperature before the single glazed windows -2 ℃ hollow windows before the temperature is 13 ° C; same housing structure, when the outdoor temperature is -8 ℃, the indoor temperature of 20 ° C, 3mm ordinary single-glazed cold radiation area accounted for 67.4% of the interior space, and the use of double hollow glass (3 +6 +3), compared with 13.4%. The use of hollow glass, can improve the safety performance of the glass, in the case of using the same thickness of the original sheet glass, hollow glass wind pressure intensity is 1.5 times of the conventional monolithic glass. The basic structure: hollow glass is made of two or more layers of flat glass. Surrounded by high strength and high air tightness composite binder, two or more pieces of glass seal, glass strips bonded seal. The intermediate charged into the drying gas, the box is filled with desiccant to ensure dryness of the air between the glass sheet. According to the selection of the various properties of the original piece of glass, such as transparent colorless float glass patterned glass, heat-absorbing glass, heat-reflective glass, wired glass, tempered glass and frame (aluminum frame or glass strips) cementation, welding or welding steel. Its structure shown in Figure double insulating glass sectional view. The hollow glass 3,4,5,6,8,10,12 mm thick slices degree of the original glass can be used, the thickness of the air layer can be 6,9,12 mm intervals. (2) the performance of the hollow glass: the thermal conductivity of the glass is 27 times that of air, as long as the hollow glass is sealed, and the hollow glass in the best insulation effect. (3) the characteristics of the insulating glass: hollow glass between the glass and the glass, leaving a cavity. Therefore, with good insulation, heat insulation, sound insulation performance. As in charge of diffuse light material or dielectric, etc., you get better voice, light control, heat insulation between the glass effect. (4) the use of hollow glass: The hollow glass is mainly used for the needs heating, air conditioning, to prevent noise or condensation, and the buildings need direct sunlight and special light. Widely used in homes, restaurants, hotels, office buildings, schools, hospitals, shops and other occasions requiring indoor air conditioning. 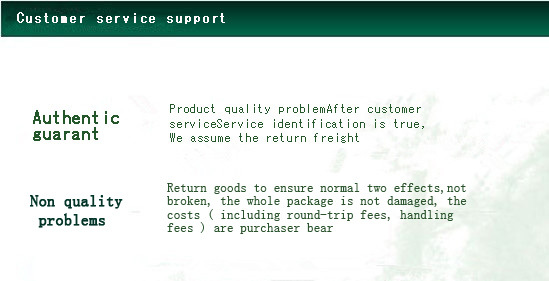 Trains, cars, ships, and freezer doors and windows, etc. can also be used. The hollow glass is mainly used for the outer layer of glass decoration. Its optical properties, thermal conductivity, sound insulation coefficient should be consistent with national standards. The plastic steel advantages of environmentally friendly, cost-effective, energy-saving emission reduction policies implemented by the Ministry of Construction coincide Conch door frame with a hard poly ene (PVC). Set of science and into one personality, not only embodies the elegant appearance, but also to ensure that the intrinsic quality of the watertight doors and windows, air tightness, and represents the development trend of plastic doors and windows. ISO9002 quality system certification. ISO14001 environment system certification. National Inspection-free certification and certification of green building materials, profiles. Designated production enterprise of steel doors and windows. Having a high strength, high sealing, high-performance, aging resistance, and good energy saving. The three-year warranty, lifetime maintenance low thermal conductivity and high quality insulation material used to make your savings 10-15% of the average heating costs. 1) durability, in order to prevent deformation of the windows color, specifically for anti-decrepit processing, security in the sea breeze, gas, acid and alkali, set anywhere anyway. 2) airtightness, experiments have proved that the airtightness of the energy of the conch doors windows 2 times. The low thermal conductivity, played the role of sound and heat insulation. 3) the flame retardancy, non-conductive, safety. Steel doors and windows for multi-cavity structure, with good insulation properties, heat transfer performance is very small, only steel l/357 aluminum 1/250, visible plastic steel door and window insulation, thermal insulation effect is significant, especially with the modern buildings of the heating and air conditioning equipment is more suitable. Compared with the relevant departments to investigate: the use of plastic doors and windows than wood doors and windows of the room in winter indoor temperature 4-5 degrees higher; northern region better double glazing. The physical properties of the steel doors and windows are mainly: PVC plastic doors and windows, air permeability (air tightness), rain water permeability (water tightness), wind resistance and insulation and sound insulation. PVC window profiles has a unique multi-chamber structure, and the welding process made doors and windows, steel doors and windows installed all gaps are equipped with plastic rubber sealing strips and tops, and therefore has a good physical. Steel doors and windows because of its unique formula and has good corrosion resistance, followed by the steel doors and windows corrosion resistance depends on the use of hardware, hardware under the normal environment for metal products industry and a corrosive environment, such as food, medicine, health, chemicals and coastal areas, rainy, humid areas, selection of corrosion resistant hardware (engineering plastics), and its life is 10 times the steel doors and windows. Steel doors and windows using a special formula, raw materials to add an ultraviolet absorber, and low-temperature impact resistance agent, thereby improving the weather resistance of the steel doors and windows. The environment in the long-term use in the temperature climate, between 30 degrees to 70 degrees, the sun, the rain, dry moisture changes, no discoloration, deterioration, aging embrittlement and other phenomena. Steel windows instance in Western Europe for over three decades, its material intact. Steel doors and windows is not spontaneous combustion, no combustion, from the fire self-extinguishing, safe and reliable, and meet fire safety requirements, this performance has more to expand the scope of the use of plastic doors and windows. Steel doors and windows with excellent electrical insulator profiles, non-conductive, high safety factor. Quality of steel doors and windows fine and smooth, consistent quality inside and outside, without surface outstanding handling, ease of processing, cutting, welding process, the doors and windows finished length, width and diagonal can be within plus or minus 2MM machining precision, angular intensity more than up to 3000N. 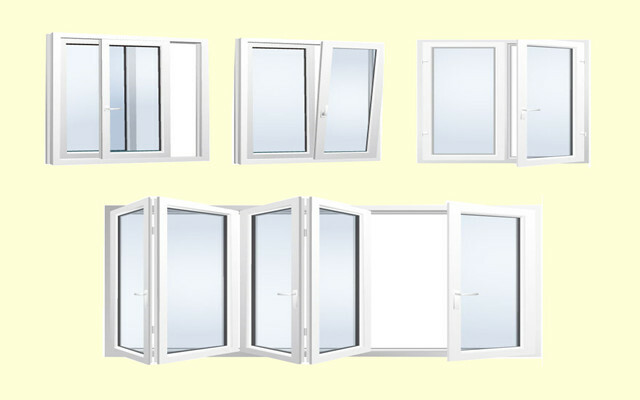 Shanghai Wanzeng high production of plastic doors and windows Door dimensional accuracy, smooth surface, permanent deformation, windproof insulation, affordable, high-quality sound insulation to bring you regret and quiet. High temperature, deformation, discoloration; resistance to corrosion and easy maintenance; dust storms can be blocked, the product has the characteristics of the times, more in line with the modern aesthetic requirements, so that your home will be more comfortable.